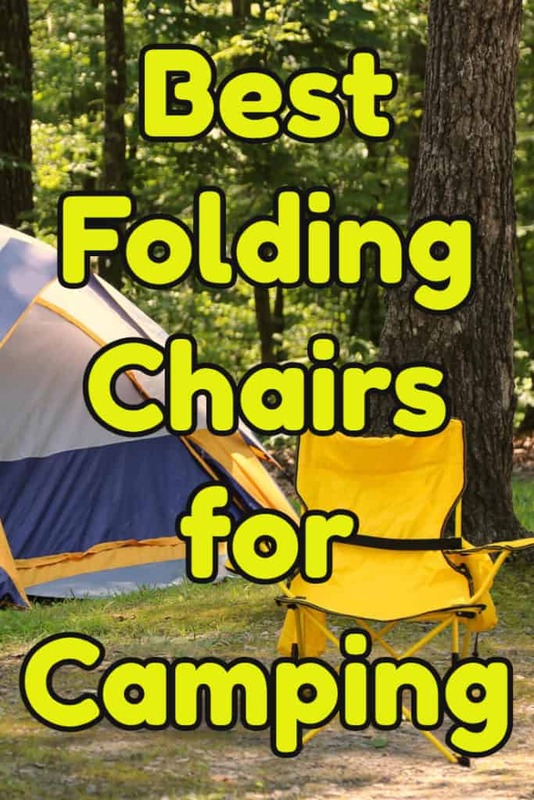 Here is a selection of the best folding camping chairs with footrests to take with you when you go camping. They can also be used on any outdoor occasions, for example, sunbathing in the yard, watching soccer or other sports or when you have an outdoor party. Just because you are sitting outdoors doesn’t mean you need to be uncomfortable, with these chairs you really can put your feet up! Being outside in the great outdoors is a wonderfully relaxing experience. However, it can be easily ruined by an uncomfortable chair. 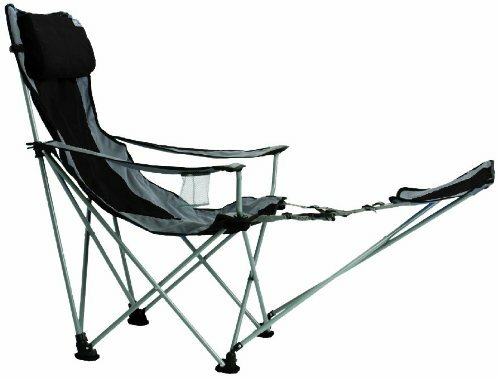 The ALPS Mountaineering Escape Camp Chair is a comfortable way to enjoy any outdoor activity without spending an arm and a leg. It is durable, sturdy, and easy for anyone to use. 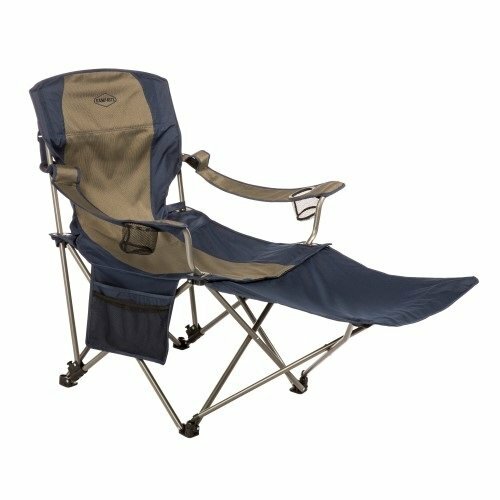 Whether you are going on a camping trip, to watch your kid’s soccer game, or simply to take a nap in the backyard, this chair is a great practical option for you. The chair is very sturdy. It has a powder-coated steel frame that can easily fold up, as well as a built-in footrest that can be easily detached. The footrest and the arms are easily adjustable and of solid construction. You can use the arms to get up out of the chair and they won’t shift up or down, and the footrest can handle a bit of weight as well. There is also a cup holder in the right armrest so you won’t lose your drink. The fabric is heavy duty polyester that can withstand dirt, water, wear and tear. The frame and fabric and handle up to 225 pounds. The chair weighs about 10 pounds, which seems a bit heavy, but the lighter chairs aren’t as stable, and it comes with a cover that has a shoulder strap attached to help you carry the weight. You can find the chair in department stores this holiday season, or you can buy it online at Amazon.com. The company also offers free returns so if you aren’t happy with the product, you can send it back at no cost to you. And of course, don’t forget the limited warranty in case something happens to the product. 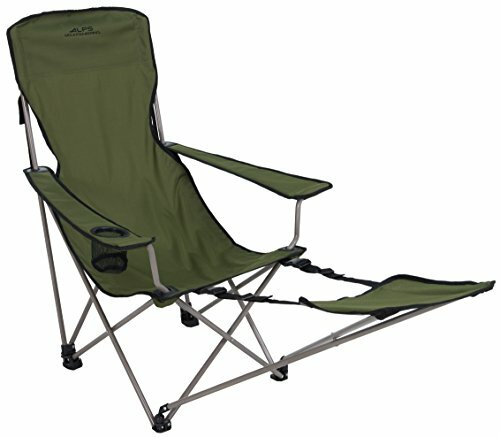 Overall, customers seem to be satisfied with their ALP Escape Camp Chair. 1. It is extremely comfortable. 2. People say they feel like they are sitting in a hammock. 3. Perfect for camping, the beach, or to watch a soccer game or even just to lounge around the house. 4. The footrest is easy to adjust no matter if you are 6’0” or 5’3”, you can enjoy your Camp Chair. 5. It folds up quickly and easily and can be stored in the carrying case that it comes with. 6. People are satisfied with the size, adjustability, and comfort that the chair provides. Some people would like the straps to be longer so they can adjust it even more. Some people feel the chair is too small.A few people have had a few issues with how the chair is built. First off, it’s pretty low to the ground so some people, especially older people or people with back problems, may have trouble getting in and out of the chair. Also, people had trouble with the chair falling apart after only a few uses. This seemed to be hit or miss with customers. Some had chairs that lasted quite some time, while others had chairs that fell apart after five uses. The company does offer a limited warranty period; however, it only lasts for a few months. One customer had an issue with her chair only five months after she bought it and by then, the warranty had run out. Just be sure to read the fine print before you purchase. Others claim that the legs pop out easily and you can’t force them back in. Again, this can be fixed under the warranty if you are still within that time frame. There also isn’t a lot of neck support or a head cushion built into the chair. You can easily purchase a travel pillow to make it more comfortable, but most people claim that chair is comfortable enough without a pillow. 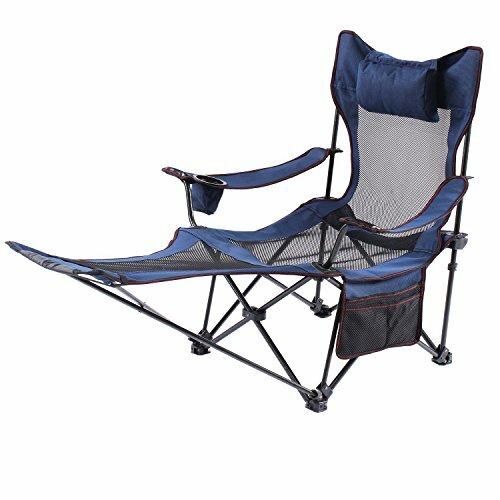 Overall, the ALPS Mountaineering Escape Camp Chair is a decent buy for your outdoor chair needs. Despite occasional issues with manufacturing, such as the fabric tearing easily or the legs popping out, people seem to really enjoy this chair. It’s extremely comfortable, easy to adjust to fit any size, and the footrest is removable and adjustable as well. In comparison to the other chairs in its class, this is the best bang for your buck.